WTO draft declaration enshrines different approaches to the Doha Development Agenda. NAIROBI (Sputnik) – A draft declaration compiled by the World Trade Organization (WTO) during ministerial conference in Nairobi, seen by Sputnik, enshrines different approaches to the Doha Development Agenda. 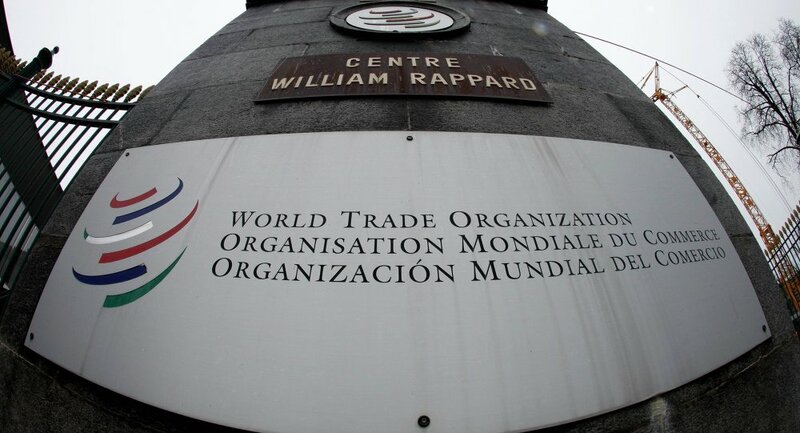 The Doha Round is the latest round of WTO negotiations, launched in 2001. The agenda has long been the subject of debate within the organization between developed and developing nations over such issues as agriculture, services and tariffs, leading to a 15-year-stalemate that has cast doubt on the organization's decision-making ability. "We recognize that many members reaffirm the Doha Development Agenda and the Declarations and Decisions adopted at Doha and at the Ministerial Conferences held since then, and reaffirm their full commitment to conclude the DDA on that basis. Other members do not reaffirm the Doha mandates, as they believe the new approaches are necessary…. Members have different views on how to address the negotiations," the draft Nairobi declaration reads. Continuation of the Doha Agenda has been one of the most contentious issues at the current talks. "Nevertheless, there remains a strong commitment of all Members to advance negotiations on the remaining Doha issues," the draft said. Kenya's capital, Nairobi, is currently hosting the WTO's conference, for which the economy ministers from over 160 states have gathered. The summit aims to define the course of multilateral trade relations for the coming years. Voting on the final declaration will take place in the next few hours.